A lot of people seem to be rallying against the idea that PlayerUnknown’s Battlegrounds will eventually charge for crates, and I don’t quite get it. People are acting as if this is an affront against the game’s fan base, but I don’t see it. First off all, the items received in crates are cosmetic. They’re “hats”, they’re not real. Gaining these items doesn’t necessarily change the way the game plays (you can argue that certain colors may help you blend in, but that’s still not a solid argument). What bothers me the most is that people are reacting as if the crate system is core to the PUBG experience. It’s not. I can’t imagine that the most enjoyable thing about the game for people is opening crates. It’s something that you can completely ignore and still enjoy the game just as much as anyone else. Heck all I’ve gotten from crates so far are a few identical red shirts and a long sleeved blue shirt. Big deal. I’d have as much fun with the game if the entire system didn’t exist. There is, however, a benefit to monetizing cosmetic items. 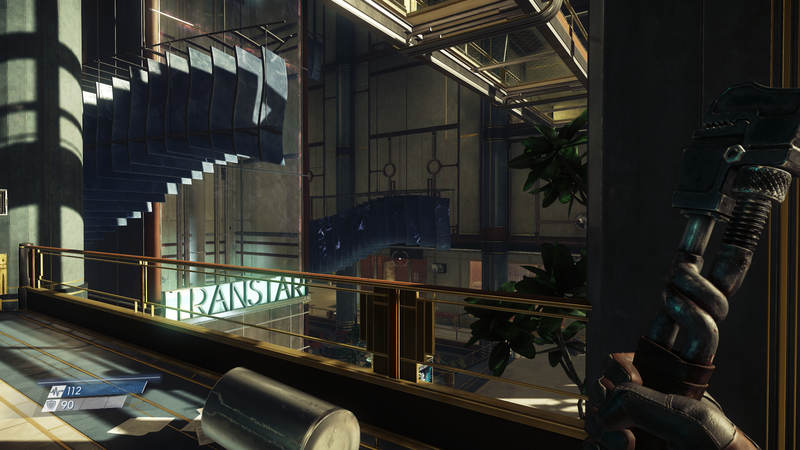 I view systems like this as a way for players to essentially tip the game’s creators. I’ve already paid upfront for the experience, but I’ve had so much fun already that I’d gladly throw an extra $2 at it here and there in exchange for digital clothing. Yet the reaction this model prompts from gamers is absurd. People are crying out as if they’re completely changing what they paid for. Again, I don’t think anyone looked at the crate system and had that become the deciding factor in favor of their purchase. Life will go on. The game will still be fun. People make video games in order to earn money, and I don’t think it’s fair to get upset when someone develops a way to do better as a business if it doesn’t have any negative impact on the core game. Everything will be alright. 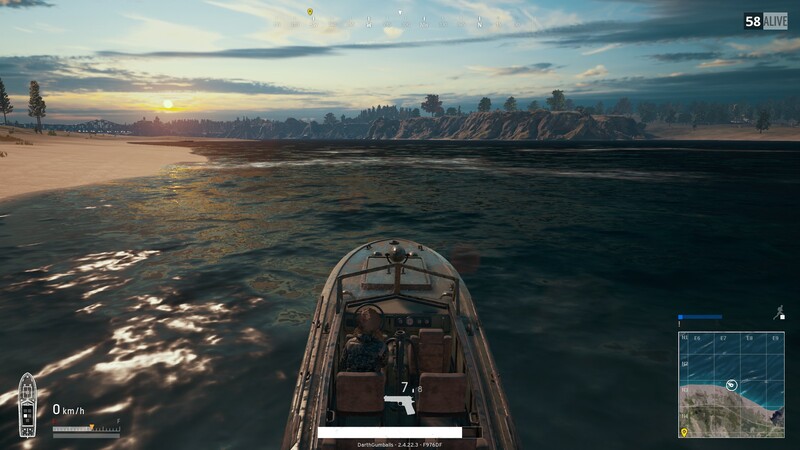 Early today in PUBG I started swimming across the water toward the military base to get to where the majority of the circle was, and as I was swimming it was nice seeing the number of players tick down while I was practically in my own world. Every now and then I would hear gunshots, but no one seemed to know I existed. It was a slow swim, but it was the most peaceful time I’ve spent with the game yet. At one point I heard a boat behind me, but I was able to stop and bob in the water undetected as it drove up onto the shore. I then continued my swim toward an unused boat in the water and hopped into it once I was sure there was no one around. I had a great view of the sunset from my little spot on the water, and I sat there for quite awhile without moving the boat. 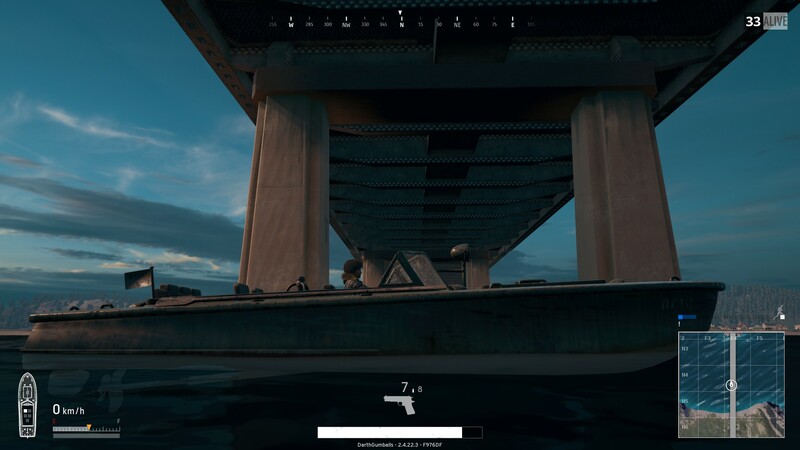 Eventually I started to move around the island and came to a stop underneath the bridge, a position that gave me over from anyone who might be on either of the shores. There I could hear plenty of action taking place above me, and it was oddly satisfying to hear it all take place knowing that no one knew that I lurked below. Eventually I made my way around the back of the island and abandoned my boat in order to more stealthily swim toward land. I planned to stay in the water as long as possible and then make my way inward at the last possible minute in hopes that most of the other players would be dead by the time I got on shore. 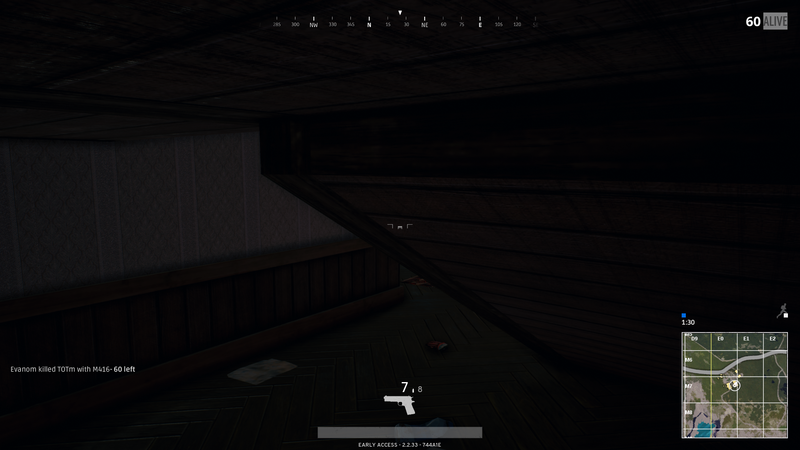 It didn’t help that the only thing I looted up until that point was a pistol (three other players dropped in near me early on so I sprinted through two buildings and got out of there quickly). Unfortunately I was wrong in thinking I was near an area that would lead me onto land. 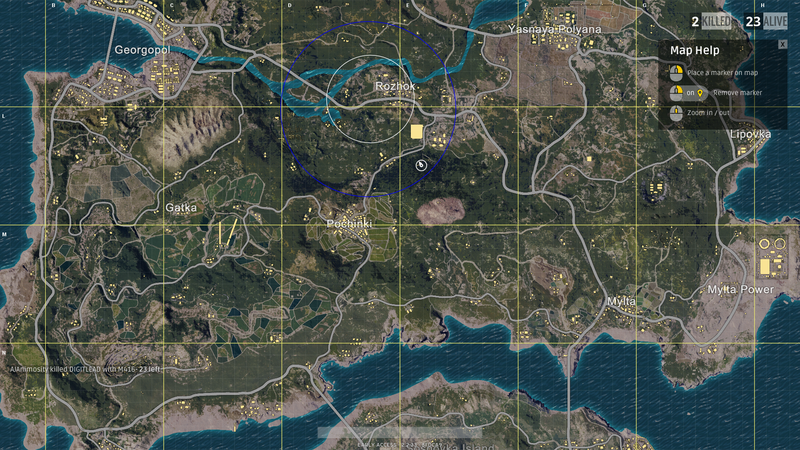 I managed to make it into the top ten before I died helplessly, unable to find away inside the circle. 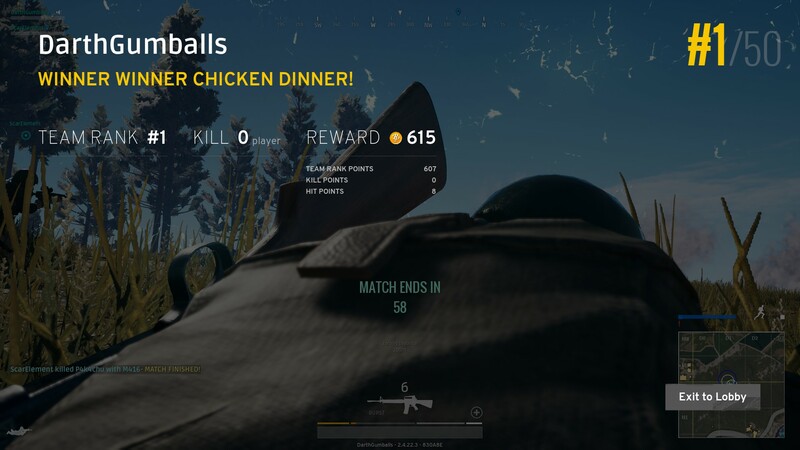 A little over a week ago I started playing PLAYERUNKNOWN’S BATTLEGROUNDS in duos, and it makes the game feel entirely different. My normal strategy of hide in a corner and wait doesn’t play well in a group, so I was forced to sweep from building to building actually engaging enemies as we moved inward to remain in safety. I actually had to take shots at people who weren’t first shooting at me (as you can tell I didn’t manage to kill any of them) which changed how I had been playing the game in a big way. 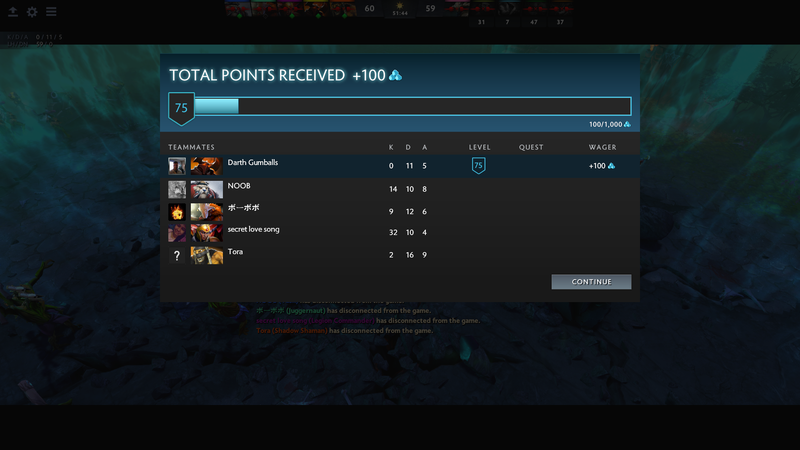 It was a blast to be aggressive for once, and it made me more confident in my subsequent games. Last night I was playing solo and someone ran up into my building without knowing I was there. 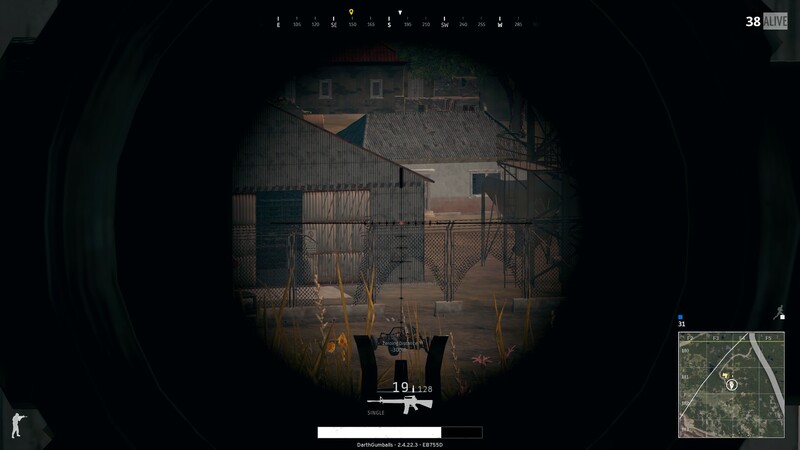 I was able to take them out with an uzi and found an 8X scope on their body, the first time I’ve come across such a high powered scope in the game. I affixed it on my M16 and watched over the city below me. It wasn’t long before I saw two people engage in a firefight, and it was an awesome feeling to take out one of them from afar. 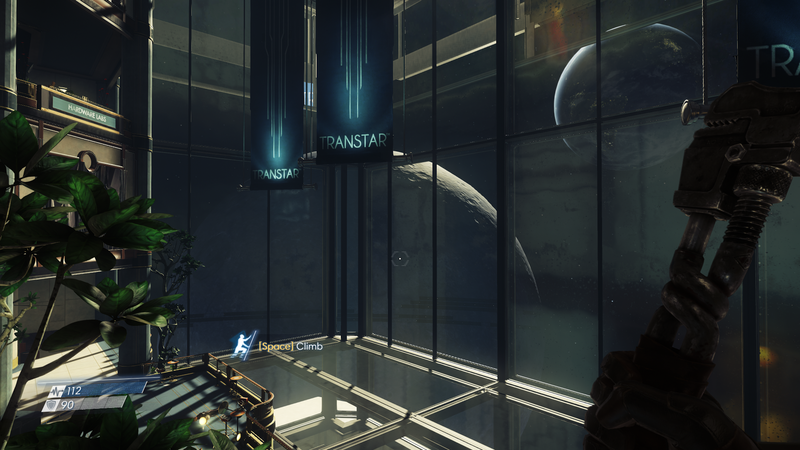 The other player ducked back inside that building, unfortunately, and never poked their head back out. I decided to continue keeping watch over the city, as I had seen two other people walking around it, however this contributed to my downfall as I was shotgunned in the face while looking down the scope five minutes later. 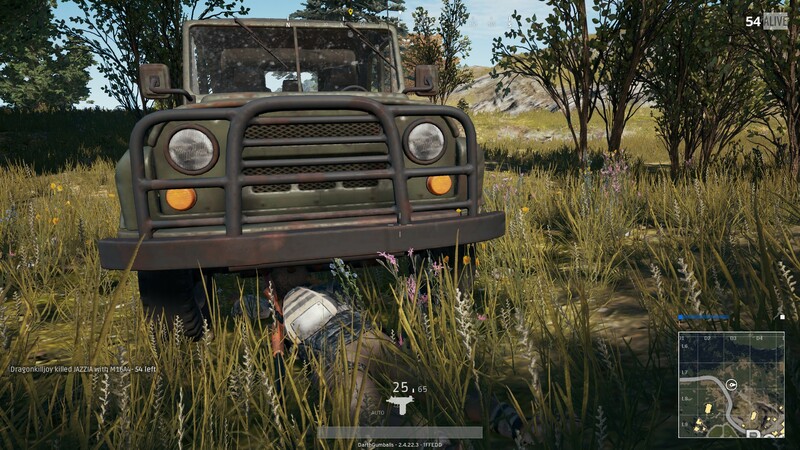 In another game last night I found ideal cover by driving a vehicle up against a cliff and hiding prone underneath it. My backside was covered and I felt relatively safe despite being out in the open. I’ve found I actually tend to survive longer if I’m crawling in the grass than I do if I’m hiding in a building, I assume because most people gravitate toward solid cover and ignore the open grass. Unfortunately, this optimal cover didn’t last as I soon had to make the trek inward again. 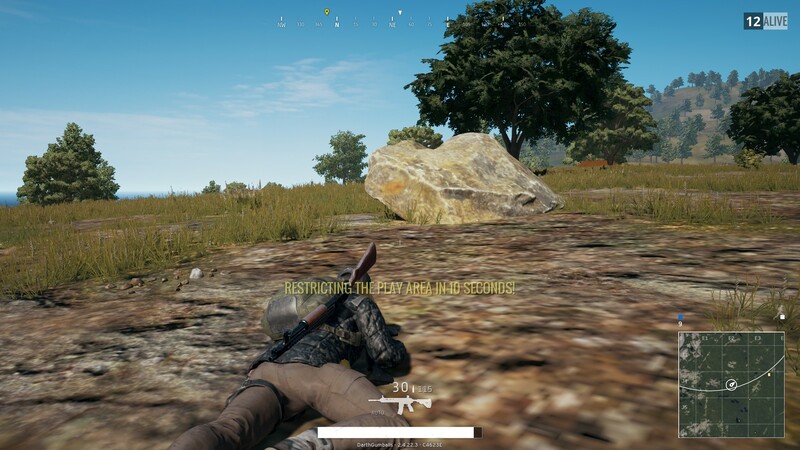 I eventually ditched the vehicle by a rock and began crawling slowly and carefully as I ended up well within the circle with plenty of tree and rock cover. This turned out to by my best solo game yet, as the circle closed in on a wide open area and everyone had to abandon their buildings and work toward it. I stayed silent in the grass by the trees and watched as everyone started picking each other off. I could hear bullets whizzing over my head, but I resisted the urge to get up and just waited. Before long I caught a glimpse of someone working their way toward me, but they hadn’t seen me yet. I decided I needed to take action, and tried taking them out, but the sound of gunfire attracted more eyes and we were both put down by someone else. I finished 7th, in one of the most excited games I’ve played yet.